From Uttar Pradesh, India, we are involved in manufacturing, exporting and supplying of Rotary Unions & Joints. These joints are made from the corrosion resistant material and compiled in adherence with industry standards. We maintain a stock of Rotary Unions & Joints to process bulk orders at a time. Buyers are free to place orders, timely deliveries are always there. Description : Rotating Unions and Rotary Joints (also known as rotary swivels, rotary couplings) are precision mechanical devices used to transfer fluid from a stationary source, such as a supply pipe, into a rotating piece of machinery. Rotating Unions and Rotary Joints are used in numerous manufacturing processes to cool, heat, or transfer fluid (pneumatic or hydraulic) power.Rotary Joints and Rotary Unions allow the feed through of water, glycol, air, hydraulic, coolant, MQL, hot oil, steam, vacuum and a variety of other media. 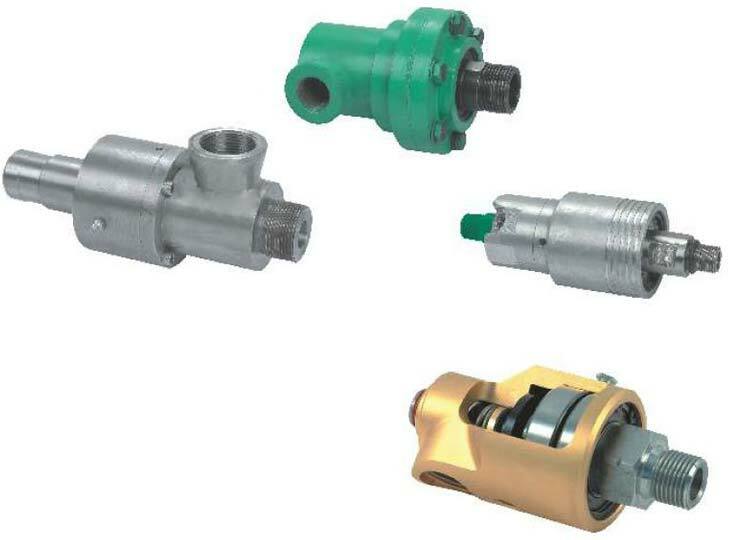 Rotary Joints and Rotary Unions that can be configured for installation at the end of a shaft or around.